For consumers who travel and often stay in hotels, online booking sites can be fantastic for finding an affordable room. Because of rate parity rule agreements, consumers are always guaranteed to find the most competitive rates, which sort of makes them a no-brainer. However, while they may be necessary for drumming up business, it’s understandable that hotels wouldn’t want to keep paying out commissions. It’s for that very reason why consumers may have recently noticed more offers for hotel loyalty programs. Reuters reports that awarding free stays and discounts to loyal customers is one way that hotels are trying to gain ground on online travel sites, and it’s working surprisingly well. While companies like Expedia, Trivago, and Priceline still rake in the vast majority of U.S. hotel bookings, audience insight company Hitwise reports that six of the top 10 hotel brands had direct bookings increase year-over-year from May 2016 to May 2017, and only three of the top eight online travel agencies had more bookings during that period. Analysts attribute that largely to changes to loyalty programs. According to the report, Marriot had the largest volume of direct bookings, coming in at 26.21% in May 2017. Wyndham Worldwide Corp. – which currently ranks in at #3 among hotel chains by market cap – also showed big gains by more than tripling its share of direct bookings, up to 9.61%. Morningstar analyst Dan Wasiolek says that Wyndham’s success can be traced to a $100 million expansion of its loyalty program, which eliminated a large number of blackout dates and restrictions that commonly plague other chains’ rewards programs. Wyndham’s chief marketing officer Barry Goldstein said much of the same, pointing out that revamping the company’s rewards program, website, and app made a big difference. Other chains have been even more aggressive when it comes to getting customers to stop using online travel agencies. Hilton launched its “Stop Clicking Around” advertising campaign in February 2016, which offered discounts to members who booked directly on the company’s site. 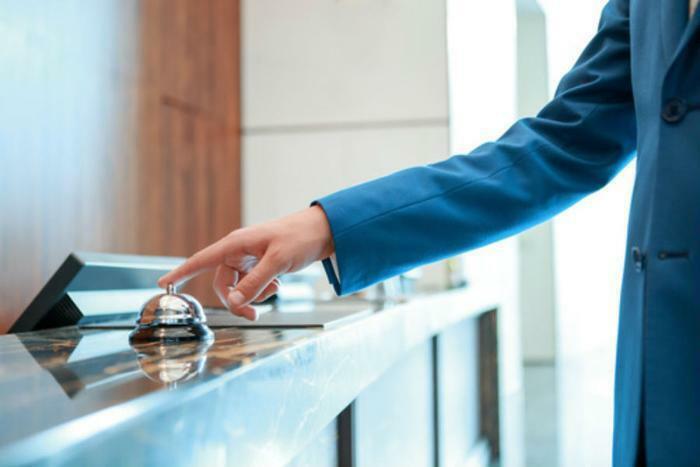 But while loyalty programs are one of only a few options that hotels have to draw customers away from online booking sites, experts say that they might be something of a double-edged sword. While direct bookings may increase due to favorable reward terms, there’s always the risk that travelers might get too used to getting a discounted room or free stay. Wasiolek says that hotels will have to walk a fine line to make sure that they’re getting the best return without giving too much away. Restaurant and hotel reviews – are they believable?